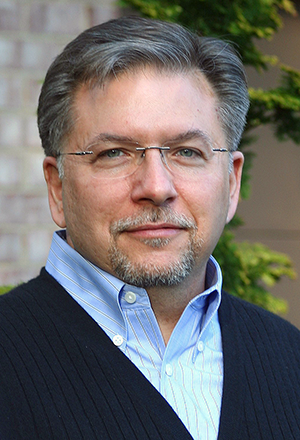 Bill Potapchuk is President and founder of the Community Building Institute (CBI). CBI works to strengthen the capacity of communities to conduct public business inclusively, collaboratively, and effectively with the goal of building healthy, sustainable and equitable futures. Potapchuk also serves as a senior fellow in the Center for Peacemaking Practice and an adjunct professor at the School for Conflict Analysis and Resolution at George Mason University. He has served as a facilitator and mediator in a wide range of settings, including successful efforts to merge school systems in Durham, North Carolina; build a new zoning ordinance in Loudon County, VA; strengthen affordable housing policy in Arlington, Virginia, and build consensus on a green building ordinance for Washington, DC. He has led community-wide strategic planning processes for the District of Columbia Public Schools, Newark Public Schools, and Detroit for a citywide education plan. He also guides major collaborative efforts to conserve large landscapes in the Chesapeake Bay Watershed and along the Appalachian Trail. Potapchuk served for almost ten years as Executive Director of the Program for Community Problem Solving (PCPS), a partnership of the National League of Cities, International City/County Management Association, National Civic League, American Chamber of Commerce Executives and other national organizations. He also served as Associate Director of the Conflict Clinic, Inc. A native of Cleveland, Potapchuk received his BA in Urban Studies from Case Western Reserve University, his MA in Political Science from the University of Missouri-St. Louis, and his MS in Conflict Resolution from George Mason University. Potapchuk is widely published. He has worked with co-authors on Learning from Neighborhoods: The Story of the Hampton Neighborhood Initiative, 1993-2003, Community Development: A Guide for Grantmakers on Fostering Better Outcomes through Good Process, Pulling Together: A Planning and Development Consensus Building Manual, and Negotiated Approaches to Environmental Decision Making in Communities: An Exploration of Lessons Learned. He has co-authored chapters in major textbooks for the field including the Deliberative Democracy Handbook, Consensus Building Handbook and the Collaborative Leadership Fieldbook.